The Plantation uses outside shipping companies for shipping and deliveries beyond our immediate geographical area. All merchandise is carefully inspected prior to being packaged for shipment. Shipping claims must be settled directly with the delivering carrier. 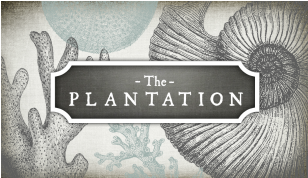 The Plantation will assist you with necessary documentation to support your claim. The customer, as the co-signee, must inspect shipments upon receipt and document any damages on shipping paperwork, retain all damaged items and preferably capture with digital images. Do not sign for and accept in good condition without prior inspection of your merchandise. Use the shipping carrier most convenient to you, and send the package with a copy of the original receipt, where it will be processed and inspected. All returns must be made within 14 days at your shipping and transport expense. The Plantation does not arrange or pay for item returns.